From June 30 to the end of July 2018, the Fondation Beyeler will be showing a project by the Brazilian artist Ernesto Neto (b. 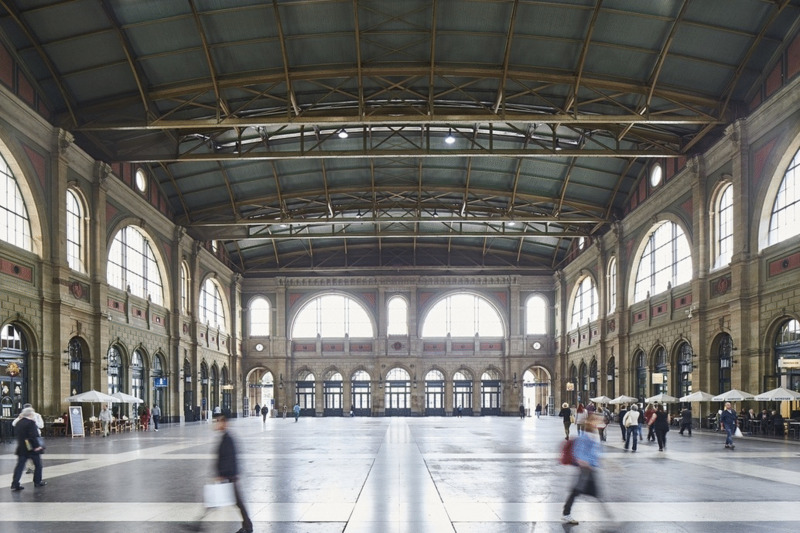 1964 in Rio de Janeiro) in Zurich Main station. 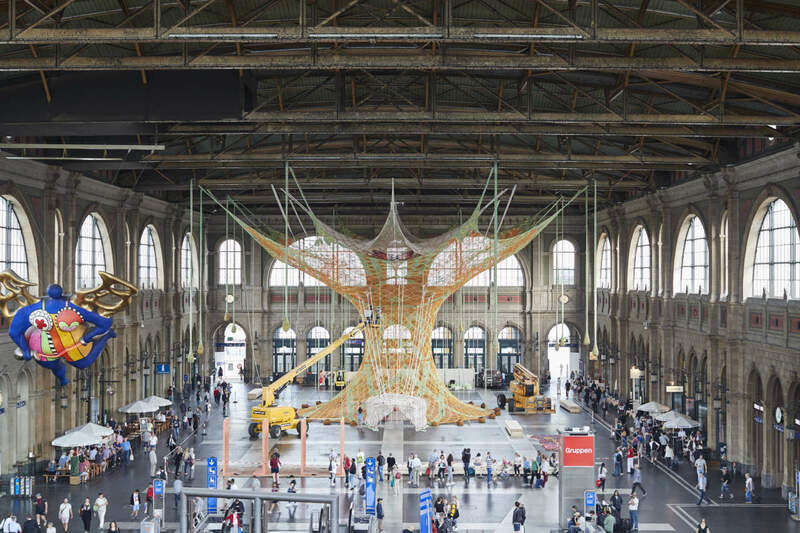 The monumental work GaiaMotherTree, a sculpture made of brightly colored hand-knotted cotton strips, resembles a tall tree, extending right up to the ceiling of the station concourse, which is twenty meters high. GaiaMotherTree is a walk-in structure that functions as a meeting place and a venue for interaction and meditation. A varied program of events for adults and children, with music, meditations, workshops, talks and guided introductions to the work, will take place inside the installation. 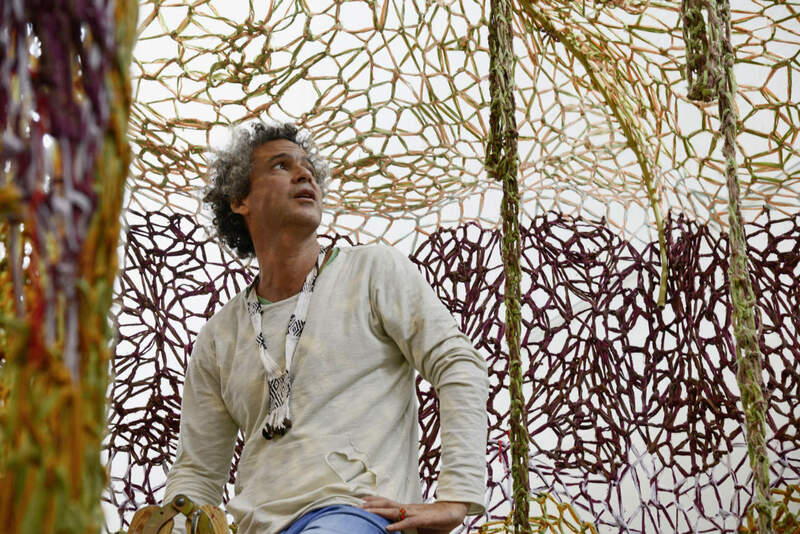 Ernesto Neto is one of Brazil’s most important contemporary artists. His work has won worldwide recognition, with several presentations at the Venice Biennale and exhibitions in the world’s leading museums. It has been collected by, among others, the Museum of Modern Art and the Solomon R. Guggenheim Museum, New York; the Tate Modern, London; the Centre Pompidou, Paris; and the Hara Museum, Tokyo. 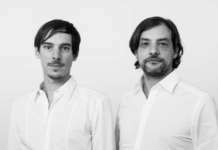 Neto’s ideas have been influenced by the Brazilian Neo-Concrete movement of the 1960s and also by Minimal and Conceptual Art, and Arte Povera. Spirituality, humanism, and ecology are among his principal concerns. His work since the 1990s has been characterized by the use of materials and techniques that are unusual in art. His sculptures and installations often feature biomorphic forms and organic materials, with transparency, sensuality, and a spirit of community playing a major role. 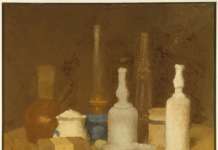 Viewers can touch the works and walk through them or set them in motion; in many cases, they also appeal to the sense of smell. 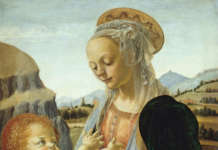 The visitor is invited to concentrate on his or her own perception and interact with the work and its environment. Since 2013, Neto has been working in cooperation with the Huni Kuin, an indigenous community living in the Amazon region near the Brazilian border with Peru. The culture and customs of the Huni Kuin, their knowledge and craft skills, their aesthetic sense, their values, their world view, and their spiritual connection with nature, have transformed Neto’s conception of art and become integral elements of his artistic practice. The works inspired by this artistic and spiritual exchange invite the viewer to pause and reflect, but also to engage collectively with themes such as the relationship between humans and nature, issues of sustainability, and the preservation and dissemination of knowledge from other cultures. GaiaMotherTree was made entirely by hand. 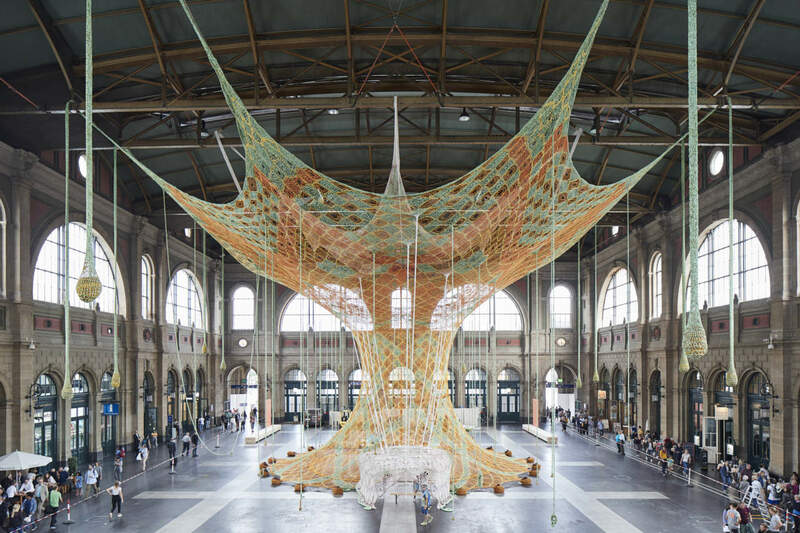 Strips of cotton were knotted together with a finger-crocheting technique to form a giant transparent structure. The upper part of the work, shaped like the crown of a tree, will cover the ceiling of the station concourse. At the base of the tree there is a large space where visitors can linger and rest on seats arranged in a circle. Drop-shaped elements hanging from the branches are filled with aromatic spices and seeds. In connection with this public art project, the Fondation Beyeler is showing a number of earlier sculptures by Neto in its central exhibition gallery. Major works from the 1980s and 1990s are supplemented by Altar for a plant (2017), presented in the grounds of the museum. Since 1997, when its activities began, the Fondation Beyeler has continually realized public art projects, with artists such as Jeff Koons, Jenny Holzer, Louise Bourgeois, Thomas Schütte, and Christo und Jeanne-Claude, whose project Wrapped Trees was executed in the grounds of the Foundation in 1998. 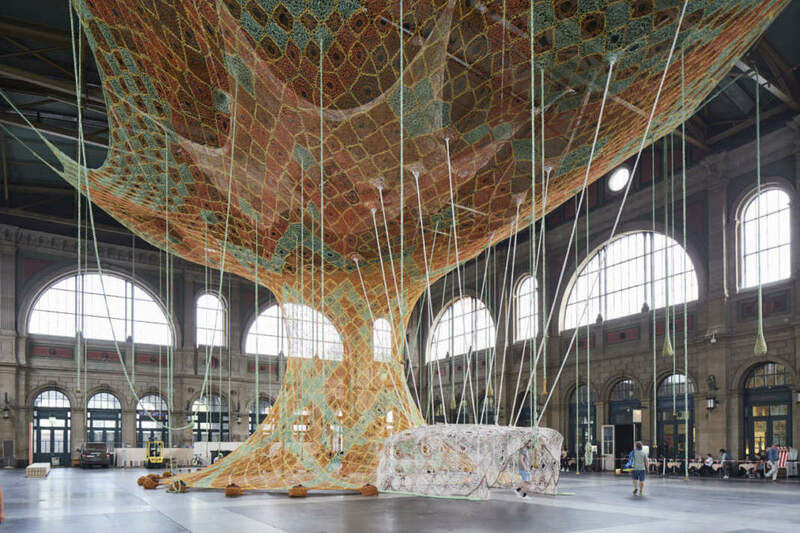 Now, exactly twenty years later, Ernesto Neto’s GaiaMotherTree is a further work devised and created for a specific site – in this case the Main station in Zürich – whose dimensions alone make it especially demanding and ambitious.